Do learning styles promote learning? Are they helpful for learners at the various stages/levels of their development of understanding in their subject areas? Should learners use learning styles psychometric tests to determine how they should view their study habits and how they approach studying? In this article, I argue that far from being helpful, the fixed mindset that learning styles promotes acts to hinder learners’ cognitive and metacognitive development and can be counter-productive in the longer term. I describe how learning styles encourage learners to use the same study strategies regardless of context, as personal rules of thumb, and that this encourages learners to ossify their study habits rather than to allow them to develop and grow. I argue that encouraging learners to think of their preferences as strategies that they adapt according to their current knowledge, skills, and abilities in a particular domain/topic will put them on a growth trajectory where they see themselves on trajectories of learning and development, from novice learner to expert learner, as they learn to think and study in new ways. The basic idea of learning styles is that different learners have intrinsic personality traits that predispose them to particular media, modes, and strategies for learning. The learning styles hypothesis claims that if the concepts and subject matter are presented according to a learner’s preferred media, modes, and strategies, learners will learn more effectively and efficiently; a concept that learning styles proponents call meshing. Much has been written and debated about the learning styles hypothesis and there have been at least two major meta-studies which outline the research evidence available for their validity and reliability (Hayes, 2005; Pashler, McDaniel, Rohrer, & Bjork, 2008). Rather than discuss the validity and reliability aspect, I propose that learning styles are not intrinsic personality traits but strategic adaptations for learning concepts and subject matter that learners use according to how experienced and knowledgeable they are in a particular domain. In this sense, the conventional assumptions of what learning styles are and how they work fall under the fundamental attribution error; a form of cognitive bias where we interpret someone’s actions as being intrinsic to them as a personality trait, and disregard the situation and context in which they are acting and responding to. So, rather than being psychometric tests which diagnose our intrinsic personality traits, learning styles preferences can be better understood as indicators of our levels of cognitive development within particular domains of knowledge, i.e. where we are on the spectrum between novice and expert. They may be useful for adapting our learning strategies in appropriate ways. For example, rather than learners thinking of themselves as sequential or global thinkers, they should consider their current level of knowledge and understanding and which strategies will help them best, i.e. 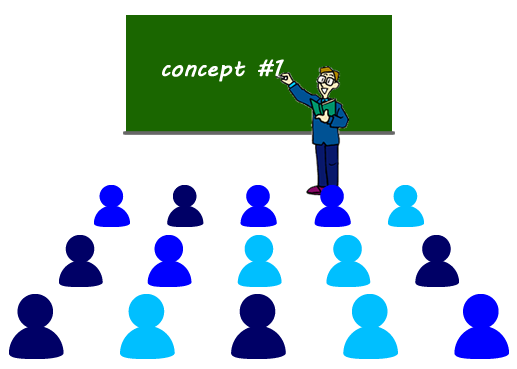 Novice learners should use a sequential strategy to learn the basic concepts with related concepts presented close together (in time and/or space) and with authentic examples (observational learning) and/or authentic experiences (experiential learning) which can be used by learners to see how they relate to personal subjective experience, while more experienced learners should take a more global approach and make more abstract generalisations in order to situate and connect the concepts they have already learned together in a coherent framework. Let’s consider a hypothetical example scenario. When a novice musician is presented with the task of learning a new song, she will normally proceed to pick up her instrument and read the music notation on the page, playing the notes sequentially and listening to how they sound in terms of harmony, rhythm, and melody. A novice will need to play through the song a great number of times in order to develop their knowledge and understanding of it, hearing how the harmony, rhythm, and melody fit together and complement each other, and hearing any musical devices that create and release tension, i.e. what makes songs interesting and catchy, before the song “sticks” and she can perform it well without the aid of sheet music. A novice may or may not know how or why the song “works” and typically arrives at a superficial understanding of it, i.e. “It just sounds good.” This is a perfectly legitimate and appropriate strategy, considering the levels of development of her knowledge and experience of music and what she is capable of understanding. In contrast, an expert musician will read over the whole song, usually without picking up her instrument. She will analyse any harmonic progressions, rhythmic patterns, divide and group the song into sections, e.g. verses and chorus’ or head and bridge, and will immediately draw upon her experience and knowledge to relate it to other similar songs, structures, and musical devices used to create tension and resolution. It takes considerably less time for an expert to learn to perform a song well than a novice because she is able to quickly and effortlessly situate the song in conceptual and contextual frameworks. While it may take a novice musician one or two weeks to learn a new song, an expert can do it in as little as half an hour. Experts notice features and meaningful patterns of information that are not noticed by novices. Experts have acquired a great deal of content knowledge that is organized in ways that reflect a deep understanding of their subject matter. Experts’ knowledge cannot be reduced to sets of isolated facts or propositions but, instead, reflects contexts of applicability: that is, the knowledge is “conditionalised” on a set of circumstances. Experts are able to flexibly retrieve important aspects of their knowledge with little attentional effort. Though experts know their disciplines thoroughly, this does not guarantee that they are able to teach others. So we see that novice and expert musicians use very different strategies to learn new songs, according to and dependent on their knowledge and experience. A novice does not have the necessary knowledge, skills, and abilities (KSAs) to examine, deconstruct, and understand songs in the same way that an expert does, so she tends to use strategies that are more hands-on, experiential, experimental, and sequential. She tends to learn by rote, repetition, and memorisation and follow rules and procedures that she can understand, given the KSAs she has developed so far. With time, practice, experience, guidance, and reflection she will be able to develop her own coherent conceptual and contextual frameworks for learning and understanding songs. A well-guided novice understands that, with effort and perseverance, she will be able to learn new songs in different and more efficient ways and understand them more deeply. In effect, what we are describing is a “growth mindset,” i.e. that learning styles are actually strategic, adaptive strategies that are developmental and modifiable (Chiu, Hong, & Dweck, 1997; Dweck, 2010; Hong, Chiu, Dweck, Lin, & Wan, 1999). Now let us contrast this developmental, growth mindset view with what the various learning styles propose. In his review, (Hayes, 2005) identified 71 different schemas of learning styles but for the purposes of this article I am going to focus on one of the more popular schemas in use in higher education, the Felder-Silverman Inventory of Learning Styles (Felder & Silverman, 1988; Felder & Spurlin, 2005), for which they provide a web-form questionnaire for learners to self-assess their own learning styles according to this schema (Soloman & Felder, 1991a) and for which they offer study strategies advice to learners (Soloman & Felder, 1991b). Felder et al (1998; 2005) claim that these preferences are consistent for each learner across domains and disciplines. When learners complete the Inventory of Learning Styles questionnaire it automatically informs them that the strategies they declare their preferences for are learning styles that are intrinsic personality traits to which they should adapt their studying habits. They are then referred to a document recommending study strategies that would best accommodate their learning styles preferences. In this sense, the Felder-Silverman, as well as many other learning styles schemas, promote a “fixed mindset,” i.e. that learning styles are fixed personality traits and not developmental or modifiable (Chiu et al., 1997; Dweck, 2010; Hong et al., 1999). 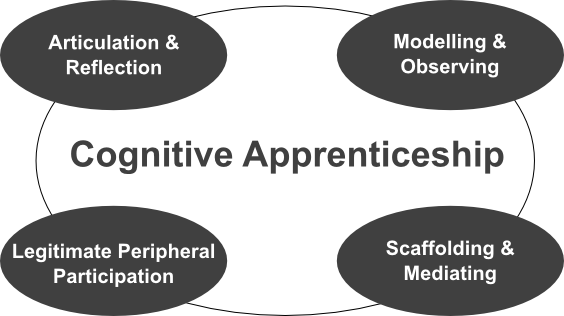 So, far from helping learners to develop the necessary knowledge, skills, and abilities (KSAs) through practice and perseverance, the fixed mindset, which I propose is at the foundation of learning styles, actively discourages learners who perceive themselves as less capable and talented; because their KSAs are not yet as well-developed as their peers; and discourages learners who perceive themselves as more capable and talented to not expose their shortcomings and instead encourages them to present a wall of (insecure) perfection to their peers. Have you ever noticed how some people feel intimidated and reticent when working with peers who they perceive to be more talented and capable than themselves? Active learners tend to retain and understand information best by doing something active with it – discussing or applying it or explaining it to others. Reflective learners prefer to think about it quietly first. “Let’s try it out and see how it works” is an active learner’s phrase. “Let’s think it through first” is the reflective learner’s response. Active learners tend to like group work more than reflective learners. Reflective learners prefer working alone. Novice learners’ developmental need: To gain basic, first-hand, experiential, implicit, procedural KSAs. Experienced learners’ developmental need: To situate and connect already learned KSAs and relate them to each other. Make up the shortfall in basic KSAs in some way. A good strategy is to get some hands-on experience and active engagement with it. Describe and analyse the context/situation we find ourselves in and reflect on how our KSAs apply/relate to it. Sensing learners tend to like learning facts. Intuitive learners often prefer discovering possibilities and relationships. Intuitors like innovation and dislike repetition. Sensors are more likely than intuitors to resent being tested on material that has not been explicitly covered in class. Sensors tend to be patient with details and good at memorizing facts and doing hands-on (laboratory) work. Intuitors may be better at grasping new concepts and are often more comfortable than sensors with abstractions and mathematical formulations. Sensors tend to be more practical and careful than intuitors. Intuitors tend to work faster and to be more innovative than sensors. Sensors don’t like courses that have no apparent connection to the real world. Intuitors don’t like “plug-and-chug” courses that involve a lot of memorization and routine calculations. Novice learners’ developmental need: To learn the parts than make up the whole. To deepen understanding of KSAs to make them more explicit, i.e. make KSAs available to consciousness in order to develop more abstract and general hypotheses about them. Experienced learners’ developmental need: Develop their conceptual frameworks further, locate gaps in KSAs, and situate new KSAs within their frameworks. Learn the basics, follow linear procedures, memorise information and methods, etc. Hands-on experience helps to put abstract concepts into context and is useful for testing/exploring boundary conditions, i.e. when methods, procedures, etc. start to fail/become inappropriate. More experienced learners in this field can think more abstractly, can explore bending the rules, testing boundary conditions (i.e. where/when they break down/fail), and finding new ways to apply the knowledge. 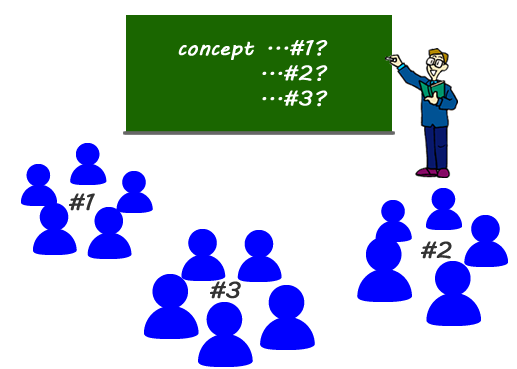 Visual learners remember best what they see – pictures, diagrams, flow charts, time lines, films, and demonstrations. Verbal learners get more out of words – written and spoken explanations. Novice learners’ developmental need: To develop an awareness of “the big picture,” that there are frameworks they must develop an understanding of, with gaps/spaces in which to situate new KSAs. 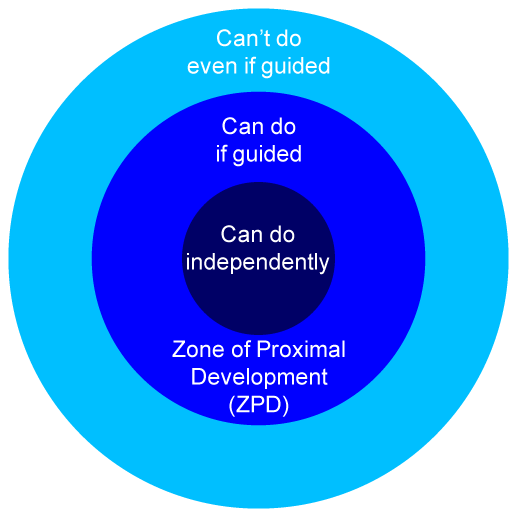 Experienced learners’ developmental need: To deepen understanding and develop more abstract concepts that they can generalise and use in novel situations and other domains. Are helped by having simplified, graphic overviews and illustrations of concepts and ideas; pictures, diagrams, flow charts, concept maps, time lines, narrative films, and demonstrations. They may need to see conceptual structures and frameworks in order to develop their understanding of them more fully. Already have overviews and can map out the subject area. They are ready to go into greater detail and depth and reflect on the relationships and implications of the concepts. Sequential learners tend to gain understanding in linear steps, with each step following logically from the previous one. Sequential learners tend to follow logical stepwise paths in finding solutions. Global learners may be able to solve complex problems quickly or put things together in novel ways once they have grasped the big picture, but they may have difficulty explaining how they did it. 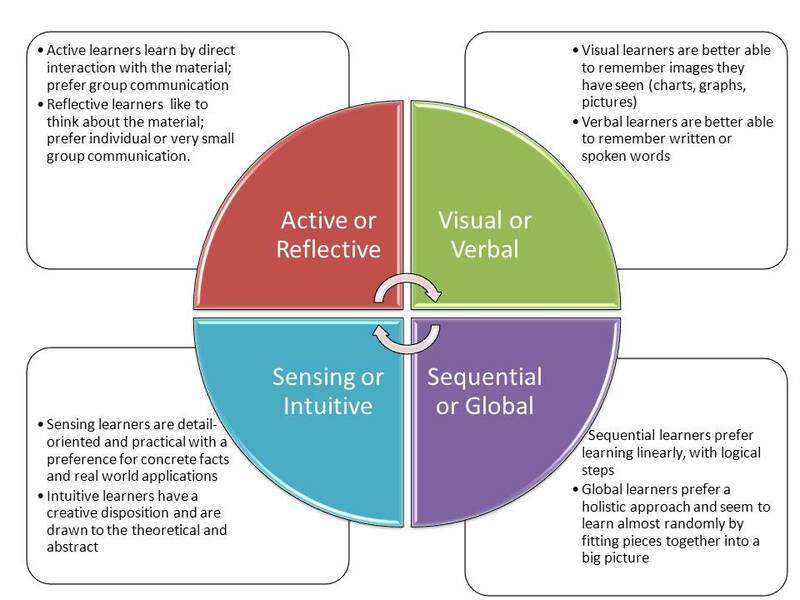 Novice learners’ developmental need: To situate, relate, and connect concepts to theories and in frameworks, i.e. “the big picture,” and develop a deeper understanding. Experienced learners’ developmental need: To sufficiently develop and build their KSAs into more abstract concepts so that they can easily transfer them across domains. Need structured, guided learning where they encounter related concepts close together (spatially and/or temporally) so as to emphasise their relationships/connections to each other. They need to understand some concepts before they can learn others in order to build a coherent picture of the subject/topic area. Can connect the dots, have constructed larger, more complex, more abstract concepts and so can think more globally, taking the bigger picture, and the complex relationships between them into account. Much of their basic thinking has become automatic and barely registers in their consciousness (working memory). They are also more able to transfer those more abstract concepts into novel domains and adapt them accordingly. I have proposed this alternative interpretation of learning styles, rethinking them not as fixed, psychometric attributes and personality traits, but as adaptive, strategic responses to the challenges that learners frequently face when acquiring and developing KSAs. By understanding learners’ preferences as indicators of their current levels of cognitive and metacognitive development, somewhere between novice and expert, we can help learners to develop learning strategies to situate themselves on trajectories of personal growth and to identify and prioritise the specific areas and aspects where they need to develop their KSAs further. In other words, to be balanced, self-aware, self-directed, strategic, adaptive, and well-rounded learners. Dweck, C. S. (2010). Even Geniuses Work Hard. Educational Leadership, 68(1), 16–20. Felder, R. M., & Silverman, L. K. (1988). Learning and Teaching Styles in Engineering Education. Engineering Education, 78(7), 674–81. Felder, R. M., & Spurlin, J. (2005). Applications, Reliability and Validity of the Index of Learning Styles. International Journal of Engineering Education, 21(1), 103–112. Hayes, D. (2005). Learning Styles and Pedagogy in Post-16 Learning: A Systematic and Critical Review. Journal of Further and Higher Education, (3), 289. Pashler, H., McDaniel, M., Rohrer, D., & Bjork, R. (2008). 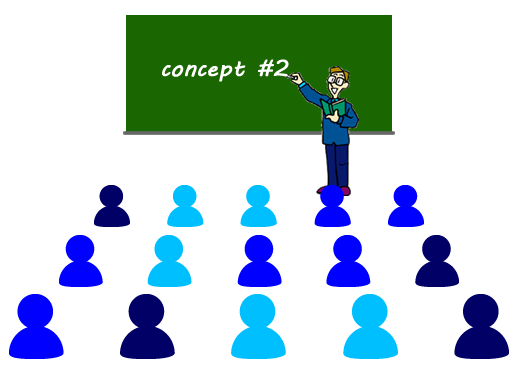 Learning Styles: Concepts and Evidence. Psychological Science in the Public Interest, 9:3. Open Access publishing is gaining popularity and, at the same time, increasing numbers of academics are uploading their papers on their personal websites, faculty pages, and blogs. This is great news for people who don’t have the luxury of an institution to pay for their access to the usually pay-walled research databases. Along with this positive development, I think providing bibliographical metadata in academic websites and blogs should become more of a priority. It is necessary for bibliography managers such as Mendeley and Zotero to quickly, easily, and accurately store, retrieve, and reference academic papers, which can save other academics, science writers, journalists, and students hours of work for each paper or article they write. If academic websites and blogs provide the metadata to support bibliography managers, it means that it’s that much easier for people to cite their research and provide links back to their websites, faculty pages, or blogs. However, unlike research databases, most websites, faculty pages, and blogs don’t usually provide this bibliographical metadata. Metadata is intended for machines, rather than people to read. Bibliographic metadata tells bibliography managers and search engines by whom, when, where, what, and how an article or paper was published and makes it easier for people to find through title, author, subject, and keyword searches. Can we embed it in a blog? I use WordPress (this blog is built on my own customised version of WordPress) and it’s the most widely used and popular blogging software on the internet. While there’s a large and diverse range of plugins and extensions available, a search shows that while there are several that provide metadata for search engine optimisation (SEO), few offer support for bibliography managers, and none of the ones I’ve found support the minimum required metadata for academic citations. In order to find out how difficult or easy embedding metadata is, I tried an experiment on this blog to automatically generate as much relevant metadata from standard WordPress format blog posts as possible. What does academic bibliography metadata look like? How can I add bibliographic metadata to my website or blog? If you use WordPress, you’re in luck. I’ve made some modifications to my WordPress theme so that the appropriate bibliographic metadata is automatically added to the head section of each blog article. A good FTP client. Filezilla is a good free and open source one. Netbeans and Dreamweaver have FTP clients built in. If you’ve never used an FTP client before, look up some beginner tutorials to learn the basics of editing remote server files. FTP access and login credentials to the web server where your blog is hosted. A good text editor, e.g. Notepad++, Notepadqq, Gedit, GNU Emacs, etc., or an HTML integrated development environment, e.g. Netbeans, Brackets, or Dreamweaver. I chose an existing WordPress core theme, twentytwelve, (but this should work with any theme) and created a child-theme: I created a new directory in /wordpress/wp-content/themes/twentytwelve-child/ WordPress automatically replaces files in themes with any files provided in child theme directories. Please note that I put the Dublin Core metadata twice in two slightly different formats for maximum compatibility with search engines and bibliography managers. 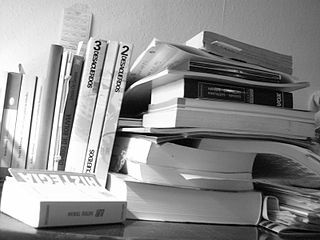 What about comprehensive academic bibliography metadata? You’ll probably have noticed that the metadata I’ve included in my article pages, while sufficient for web page citations, doesn’t contain the same degree of detail as academic bibliography data (see first metadata snippet above), e.g. journal titles, ISSN’s, ISBN’s, etc.. As far as I know, there isn’t yet a way of storing that data in standard WordPress and so it more than likely needs a specialist plugin so authors can explicitly enter it to be stored and printed on the corresponding article pages. Would anyone like to develop one? In a previous article, How prepared are learners for elearning? I wrote about the difficulties in identifying if learners are “ready” to study online and some suggestions for possible ways to identify the necessary knowledge, skills, and abilities for successful online learning. There’s also a PDF version of the entire proposal from my Athabasca University Academia.edu account. What makes a learner ready to study online? How do they know? How do they find out? In an attempt to address the issue of the higher student attrition (drop-out) rates in distance education (DE) and elearning than in face-to-face classes, it’s becoming more common for educational organisations to try to evaluate learners’ to find out who are unlikely to succeed on their courses and programmes and may require extra support and guidance. In other words, to assess learners’ preparedness for DE and elearning. I think one of the biggest issues with self-assessment of readiness to study online is that learners often don’t know what the questions and ratings scales they’re presented with on questionnaires and application forms mean. Additionally, according to the Dunning-Kruger effect (Kruger & Dunning, 1999), learners with lower knowledge, skills, abilities, and experience tend to rate themselves proportionately higher than more experienced and proficient ones. In other words, the less they know, the less they know what they don’t know and the poorer they are at judging their own proficiency. In more exaggerated cases, we may actually be turning away more suitable learners and accepting less prepared ones. In my attempt to address this issue, here are some qualitative questions that I feel are more likely to elicit responses that reflect a learner’s knowledge, skills, and abilities (KSAs), as well as their experiences, beliefs, attitudes, and values, that are relevant to distance education (DE) and elearning and to identify areas of strength and weakness rather than simple binary “yes or no”, or ratings scale responses. In other words, to encourage learners to describe their preparedness and have the interviewer decide how they compare to the minimum necessary KSAs defined in our learning organisation’s policies. It would also be possible to provide learners, whose KSAs may currently be insufficient or borderline, with personalised plans of action that they can use as a guide to “bring themselves up to speed” for successful DE and elearning. What levels of technical and IT KSAs, practical facilities, and experience, beliefs, and attitudes, which are necessary for successful participation in DE and elearning, does the learner have? Why does the learner want to take this course or programme? Is it for personal enrichment, professional advancement, retooling, retraining, or changing careers? How many hours per week is the learner willing to commit to studies? How will the learner manage their time to prioritise and dedicate to uninterrupted periods of study without distractions from colleagues, family members, friends, and/or associates? What tools, services, and technology does the learner have sufficient access to to support their learning, e.g. sufficiently powerful and useful computer, webcam & microphone, reliable high-speed internet, and appropriate software necessary to read digital files and formats? How technology literate is the learner? 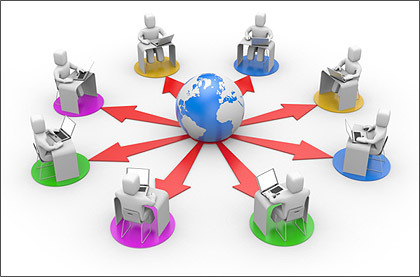 How proficient and experienced is the learner with communication tools such as email, discussion forums, chat, and video web conferencing? What online websites, discussion groups, etc. has the learner participated in? What can they tell you about their experiences? What support structures does the learner have at home or in the workplace? How understanding and supportive are their colleagues, family members, friends, and/or associates? What are the learner’s previous experiences of education and learning at school, college, university, and/or the workplace? Has the learner taken distance learning courses in the past? If so, what were the learner’s experiences? What beliefs, attitudes, and values does the learner express that are necessary and compatible to participate in their proposed programme of study? How much direction and support will they need? How well developed are their metacognitive/self-directed learning skills? Although more time consuming and labour intensive to conduct and administer, I think these more descriptive, open ended questions should be more helpful in allowing organisations to assess learners’ preparedness for participating in DE and learning courses and programmes effectively. Also, they can be adapted and made more specific so that they more accurately reflect the requirements of specific courses and programmes.